In September 2003, one of us was among the delegations of trade representatives from around the world that gathered in Cancun, Mexico, for one of the first Doha rounds of the World Trade Organization (WTO) negotiations. The goal was ambitious: work to reduce trade barriers, while ensuring that developing countries secure their fair share of global trade growth. 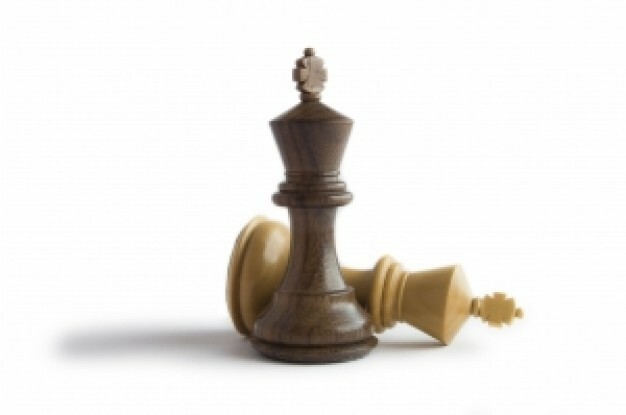 A couple of days later, however, negotiations were declared to be stalled and everybody went home. In the usual "blame game" that follows such impasses, resistance to trade facilitation negotiations by developing countries was somewhat paradoxically fingered by some participants as one of the reasons for failure! Trade facilitation can be defined as the simplification, harmonization, standardization and modernization of procedures of international trade. Essentially, by harmonizing certain rules between countries to promote greater efficiency, transparency and predictability, based on norms, standards and internationally accepted practices, trade facilitation measures reduce trade barriers. Together with other nontariff issues, it has acquired increasing relevance particularly as protectionist tariff rates have fallen in a large chunk of the world (Canuto, 2013). Trade facilitation matters from the standpoint of a singular country. It reduces transaction costs, which will in turn help ensure the predictability of operations and contribute to trade competitiveness (Hufbauer, Vieiro and Wilson, 2012) (Hoekman and Shepherd, 2013). Furthermore, by reducing the waste of using human and material resources with activities that often do not add equivalent value, trade facilitation also becomes a source of increases of a country's "total factor productivity" (Canuto, 2012a). All this comes on top of potential growth benefits derived from increasing foreign trade. Portugal-Perez and Wilson (2010) grouped trade facilitation measures into two dimensions: hard infrastructure and soft infrastructure. Their hard infrastructure indicators refer to the physical infrastructure and measure the level of development and the quality of ports, airports, railways, and ITC (Information Technology and Communications) infrastructure. In turn, soft infrastructure indicators include transportation and border efficiency measures (such as time, cost and number of documents required for export and import procedures) as well as regulatory and business environment procedures (such as irregular payments indicators, government transparency and anti-corruption measures). They showed that reforms using trade facilitation measures in both hard and soft dimensions substantially improve the export performance of developing countries. It is true that soft measures have increasingly received attention by both advanced and non-advanced economies in recent years. However, difficulties to implement such an agenda still remain high as those reforms normally face the opposition from encroached vested interests in the maintenance of the status quo. Which soft trade facilitation measures have worked better? One such measure is the Authorized Economic Operator (AEO). The AEO is a party involved in the international movement of goods and which is recognized on its behalf or on behalf of a national customs administration for complying with supply chain security standards. To qualify as an AEO, it is necessary that the company meet the criteria specified by the Customs of the country in question, including having appropriate records of compliance with customs requirements and a satisfactory management system of commercial records (Sá Porto et al., 2013). Another important soft measure is the Single Window (SW). It is a single point of contact between foreign trade operators and the government to fulfill the requirements for import, export and customs transit. Through the single window, all demands for information and documents made by the bodies involved in trade are given in a coordinated and harmonized manner through a single interlocutor, preferably in a computerized system accessible over the Internet. Responses from government agencies to foreign trade operators must also occur in a coordinated manner through this system. Additionally, another important trade facilitation measure is the Mutual Recognition Arrangement (MRA), which is an international arrangement based on an agreement by which two or more countries agree to recognize one another's conformity assessments regarding trade facilitation measures, such as the AEO. We could find clear results for the roles of an Authorized Economic Operator and of Single Window programs as positive to a country's trade performance. By contrast, we were unable to find similarly unambiguous results for the existence of a Mutual Recognition Arrangement. Overall, in general trade facilitation measures as a whole have helped countries improve their trade performance. As we remarked, some participants of the Doha negotiation in Cancun in September 2003 alluded to trade facilitation negotiations as one of the stumbling blocks on the way to reaching an agreement - although, like others, we prefer to point to agriculture as the locus where to find the major explanation for the so-called "Cancun debacle". It took more than ten years for a major step to be achieved with the WTO Trade Facility Agreement reached in Bali, December 2013 - which included the adoption of single-window programs. Its implementation is taking time: for instance, only last November 30th we had a South American country ratifying the agreement, when Guyana became the 53rd WTO member and first in the region to send the country's instrument of acceptance to the WTO Secretariat. In turn, the regional "mega-trade agreements" currently under negotiation - see Canuto (2015) - also include chapters on trade facilitation but have some way to go before completion. Our empirical exercise suggests that the presence of mutual recognition agreements has weighed less than authorized economic operators and single windows in successful experiences of trade facilitation. That is hardly surprising as the latter are measures undertaken at the country level, and less dependent on hard-to-obtain diplomatic deals. On the other hand, even if gradually, the trade facilitation diplomatic architecture seems to be evolving toward one with a higher presence of signed-off deals. Independent efforts by individual countries to facilitate trade should therefore keep a close eye on standards being shaped in order to minimize adjustments when it (finally) comes the moment of cross-border harmonization. 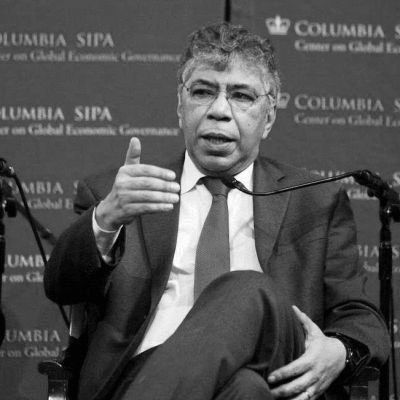 Otaviano Canuto is an Executive Director at the International Monetary Fund. All opinions expressed here are his own and do not represent those of the IMF or of those governments he represents at the IMF Board. Paulo C.de Sá Porto is a Professor at the Federal University of São Paulo, Brazil. Cristiano Morini is a Professor at the State University of Campinas, Brazil.